Naples in 1750 was one of the ten biggest cities in the world, and it spawned two of the biggest musical stars of the era: the castrati Farinelli and the much lesser known Caffarelli, whose real name was Gaetano Majorano. 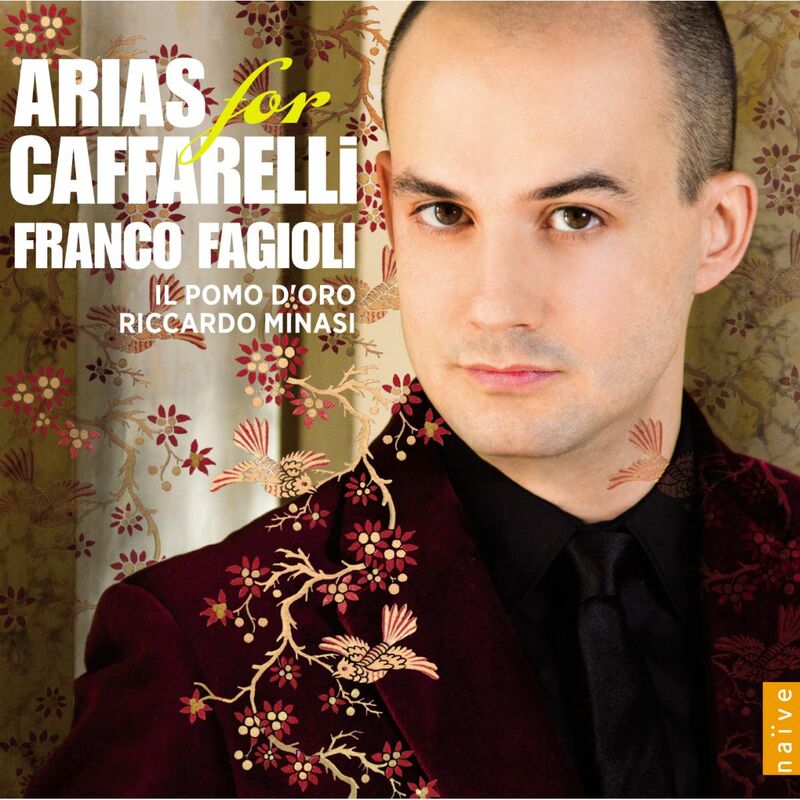 This release consists of arias written for Caffarelli, and you might treasure it for the flamboyant, high-volume singing of countertenor Franco Fagioli, who arguably comes as close as any of his contemporaries to conveying what the high-powered sound of the castrati was like (in the understandable absence of the genuine article). Or, you might be grateful to hear the music associated with Caffarelli, who in his own time had a reputation for being troublesome and has generally ignored by the historical opera revival movement. The composers represented on the program are not household names; the best-known of them was German Johann Adolph Hasse, and some, such as Gennaro Manna and Domenico Sarro, are all but unknown. The bright, blooming orchestral work of Il pomo d’oro under conductor Riccardo Minasi is unfailingly exciting. Beyond all this, however, is the presentation of the whole package. The 80-page hardbound booklet, beautifully illustrated with period artwork that shows what it was like to go to an opera in Naples, contains, on top of performer biographies, texts, and translations, no fewer than five essays, in French and English, covering Caffarelli’s life, his relationship with Farinelli, his travels around Europe (which were nearly as extensive as Farinelli‘s), music in Neapolitan churches, and his relationships with the composers of his time. All of these are engagingly written (the bit about the graffiti attached to the legend Caffarelli put on his Calabria shows you that yes, people smirked about the castrati in the 18th century as well); all leave you more informed about a sparsely understood period of music history and all are directly relevant to the music performed. This is an exemplary historical opera release from Naïve, and it seems likely to enlarge the operatic repertory just as much as did the rediscovery of Farinelli a few decades back.